For librarians, Intellectual freedom is a living concept, a core value reflected in the ALA Code of Ethics, the Library Bill of Rights, the Freedom to Read Statement, and Libraries: An American Value. It is highlighted annually during Banned Books Week and was observed from May 1-7 during Choose Privacy Week. Get your intellectual freedom fix during the ALA Annual Conference in New Orleans from June 21-26, 2018. Freedom to Read Foundation (Thursday, June 21, 8:30 a.m.-12:00 p.m., 2:00-4:00 p.m., Room 296, Morial Convention Center (MCC)). If you are an early bird to the conference, sit in on the morning session of the Freedom to Read Foundation (FTRF). Teresa Chamara, FTRF’s legal counsel, provides a comprehensive but understandable oral (and written) explanation on current court actions in which FTRF is involved. The afternoon meeting is devoted to the “business” side or FTRF with membership, financial, and other reports. A membership reception follows the close of the FTRF Board meeting at 4:00 p.m. During the reception, Dovi Mae Patino, the recipient of the Conable Conference Scholarship, and those named as 2018 Roll of Honor recipients will be introduced. Opening General Session (Friday, June 22, 4:00-5:30 p.m., Exhibit Hall F, MCC). There’s nothing quite like being in a huge hall with thousands of fellow librarians. We are at the conference to learn, and there will be opportunities to hear from a range of authors and national figures. ALA President Jim Neal will convene the session and will have the honor of introducing Former First Lady Michele Obama. 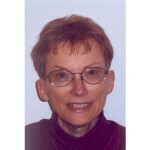 An inspiring speaker, her appearance will be a highlight for conference attendees. Exhibits & Opening Reception (Friday, June 22, 5:30-7:00 p.m.). The exhibits has something for everyone. There’s the Book Buzz Theater (schedule), the What’s Cooking @ ALA Demonstration Stage (cooking demo schedule), and the Graphic Novel/Gaming Stage (schedule). 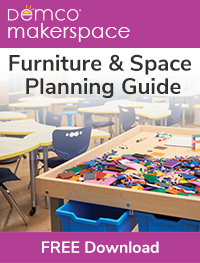 In addition to talking to vendors and picking up free books, check out the specialty pavilions, including the Gaming Lounge and the Mobile Applications Pavilion. Stand for the Banned Video Booth (Saturday and Sunday, June 23-24, 9 a.m.-5:00 p.m., near exhibits). Annually the Office for Intellectual Freedom and Sage Publishing sponsor a “Stand for the Banned” video booth where conference attendees can talk about their favorite banned book or read from it. The videos are posted on YouTube. For a sample, watch OIF director Jamie LaRue describe his take on challenges to fairy tales. Consider recording one to show in your library during Banned Books Week 2018 Sept. 23-29. Intellectual Freedom 101 (Saturday, June 23, 10:30-11:30 a.m., MCC, 398-399). Where can you hear a one hour summary of national intellectual freedom activities and meet the intellectual freedom community’s leaders and Office for Intellectual Freedom (OIF) staff? The “Intellectual Freedom 101” session. Led by Jamie LaRue, you’ll have a whirlwind introduction to the groups within ALA dedicating to protecting your right to read, and learn how you can become involved. The Librarian’s Dilemma: How Would You Respond? (Saturday, June 23, 1:00-2:00 p.m., MCC, 386). The Committee on Professional Ethics presents its annual opportunity to look at current ethical dilemmas in librarianship through the lens of the ALA Code of Ethics. This year’s topic is particularly timely—the “collision” of personal and professional ethics, especially when discussed in social media. Enjoy the skits, and add your voice to the discussion. 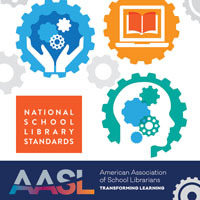 The AASL National Standards: Top Topics and Trends, on Sunday, June 24, from 10:30-11:30 a.m. in the convention center, room 344. Intellectual freedom is represented in the new standards in Shared Foundation VI. Engage. 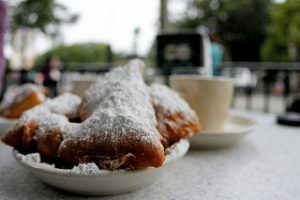 You know the old saying “all work and no play…” Make sure to sample beignets at Café du Monde, listen to New Orleans-style jazz at Preservation Hall, and see the artists at Jackson Square. It’s all part of your conference (and learning) experience. 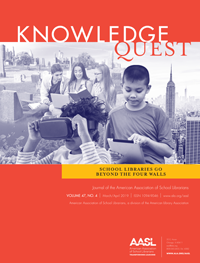 American Library Association. “ALA Conference Web Badge: Learn More.” https://2018.alaannual.org/general-information/grab-web-badge/. Infrogmation of New Orleans. 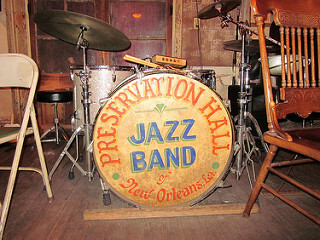 “Preservation Hall Bass Drum.” August 4, 2010. Used under Creative Commons Attribution License. https://www.flickr.com/photos/infrogmation/4881321966/sizes/n/. Roeder, Phil. “Beignets.” April 28, 2014. Used under Creative Commons Attribution License. https://www.flickr.com/photos/tabor-roeder/14077682002/sizes/n/.